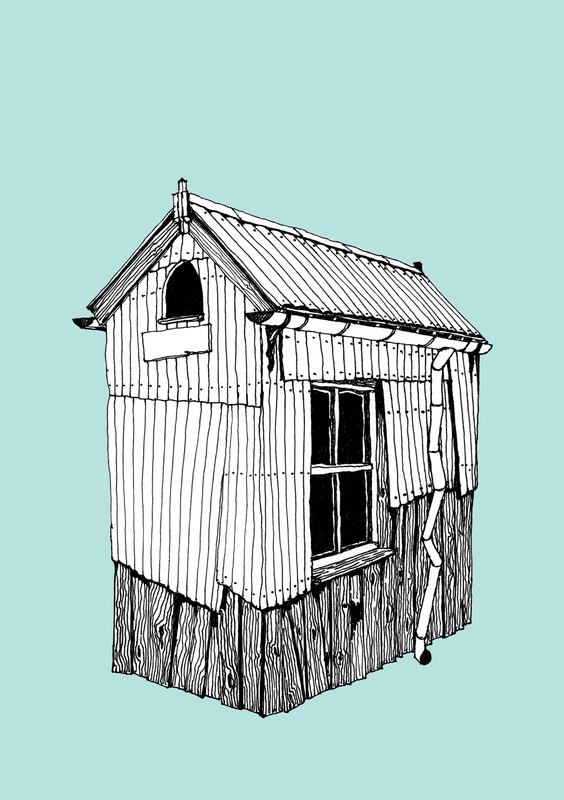 Our hut builder Euan Gray is a true artist. 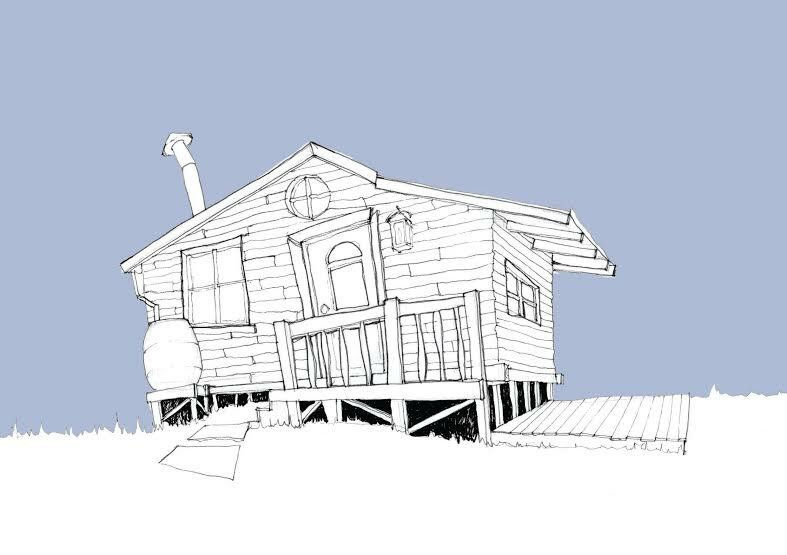 Not only is he creating a unique, cinematic, charming hideaway hut for our film, he has also created this stunning set of hut-inspired artworks to get hut-lovers in the mood for the finished design. 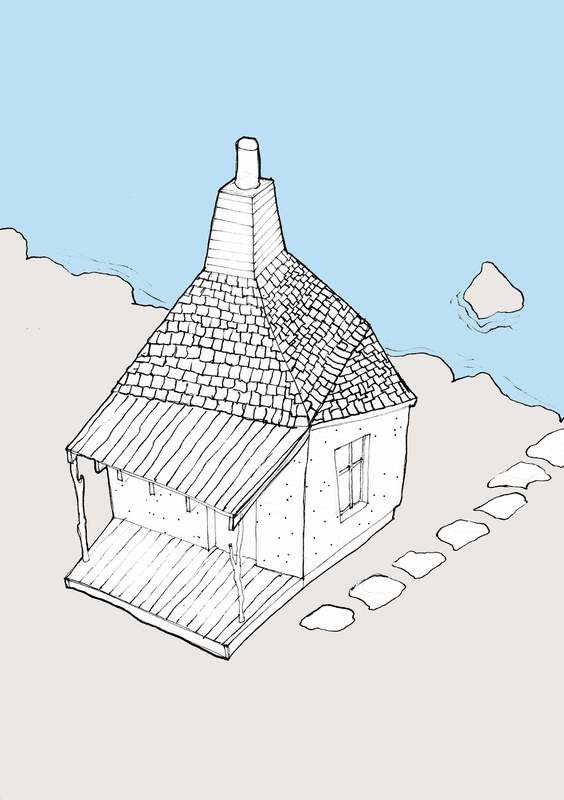 The drawings were created by Euan to give a sense of the tone and style of the film, and of the hut itself, and he is generously offering them as perks for contributors to our crowd-funding campaign. For a contribution of £60 or more, you can have this set of 4 prints. 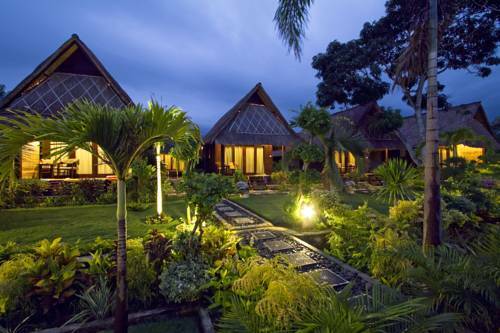 The perfect addition to your own hideaway, or the perfect Christmas gift for anyone who longs for a hut of their own. 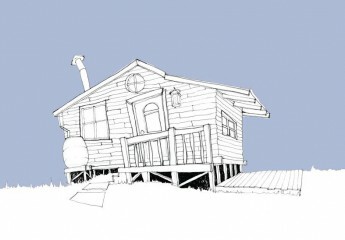 – Find out more about Euan Gray and his ideas for Gillies’ hut design. – Visit our IndieGoGo page to support our film and get your set of four hut-inspired prints. Everyone needs a hut. A not-so-secret hideaway at the bottom of your garden, a studio, a workshop, an illegal fireworks factory… With architectural designer and fabricator Euan Gray creating Gillie’s hut especially for Fireworks, we thought we’d celebrate the humble hut with some of our favourites. Actually, scrap the humble. And forget the spiders, spades and pile of dirty wellies. This is pure unadulterated hut indulgence! Read on to see some of our favourite huts. Starting off with a classic, let us introduce you to the beach hut’s bigger sister. These long-legged beauties are a far cry from your British candy-coloured beach hut. We’re betting these lovelies are kitted out with pale cream lounge chairs and wicker glass-topped tables. Perfect for lazy, hazy luxurious summer sby the beach. In Kapalai Island, Malaysia no less. We can only dream. Number two brings us those uniform, candy-coloured huts transformed into a winter wonderland. 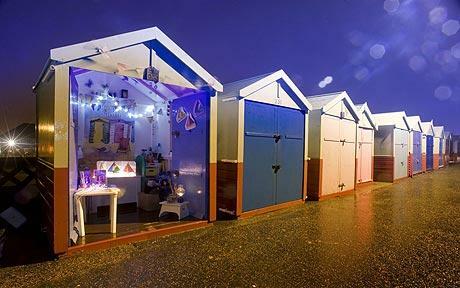 The beach hut advent calander is a project based in Brighton, now in it’s 6th year, which turns beach huts into, well, yes, an advent calander. In the countdown to Christmas, each evening a different hut throws open its doors to showcase a festive artistic surprise. Recreate this little number at home and put those bland factory chocolate advent calendars to shame. Best for: Dressing up as a crazy evil elf and leaping out at people on day 18. Out with traditional hut shapes, Boston-based studio Moskow Linn Architects has created this project ‘swamp huts’, located in Massachusetts. With a light design, four of these huts sit gently on the land, surrounding a central deck providing communal space for the family. Family is key theme in Fireworks – though we’re not sure we can imagine Gillies and Kat in this hut in the cold Scottish winter, even with the lovely fire pit. Best for: A family holiday that you can even invite the snorey dad, the farty dog and the antisocial teen along to. These huts designed by Olson Sundberg Kundig Allen Architects in Seattle better reflect our current climate! 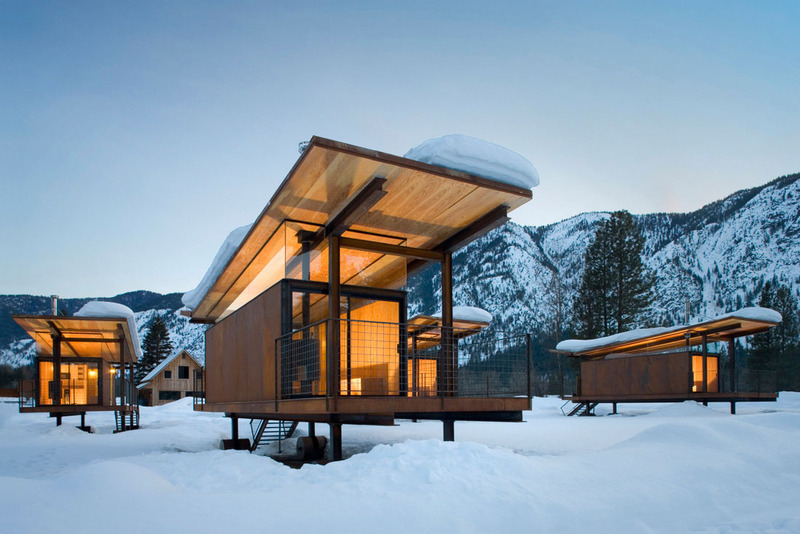 Situated in Methow Valley, Washington, we love their hard, square lines set against the flowing backdrop of the snowy mountains. Better wrap up warm. 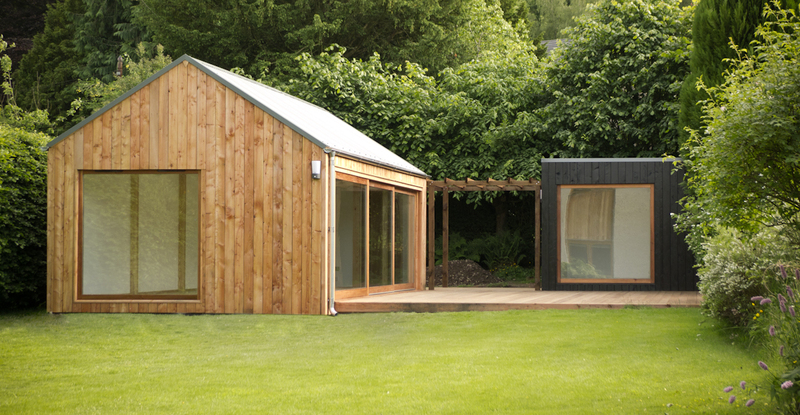 Last but not least, we love this yoga studio created by Euan Gray, the mastermind behind Gillies’ hut in Fireworks. Bathed in light and set in an idyllic spot surrounded by greenery, we can’t think of a better place to soothe mind, body and soul. Get us there now! 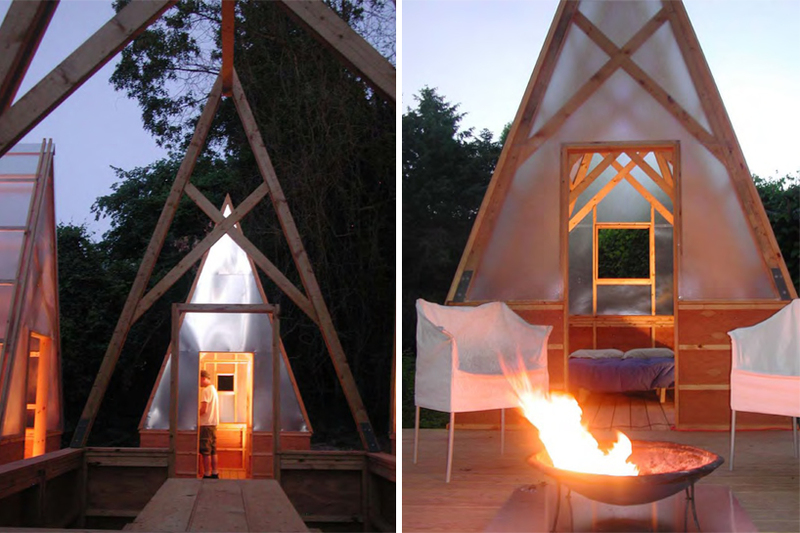 Want to get the actual Euan Gray-designed hut from Fireworks? Contribute to our campaign and we will ship or bring it to you anywhere accessible in the UK, and set it up in your garden. 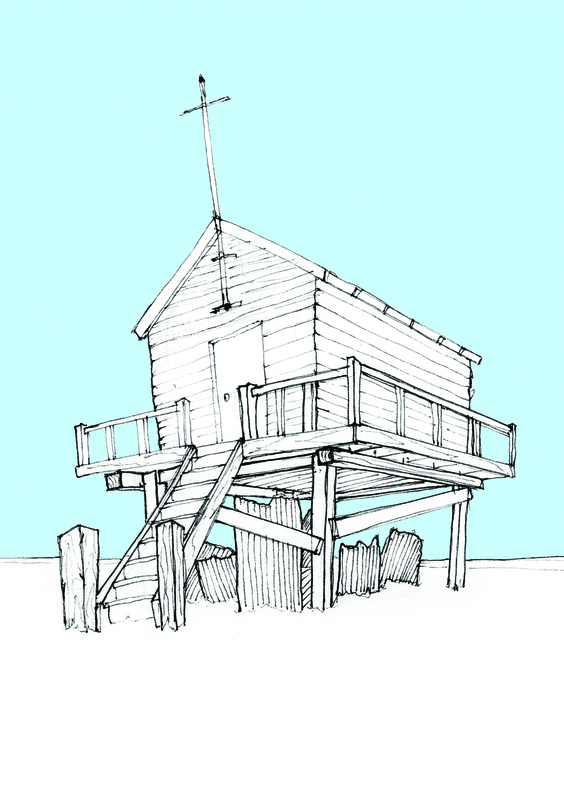 Or, for an affordable Christmas gift, select our pack of 4 hut drawings by Euan.